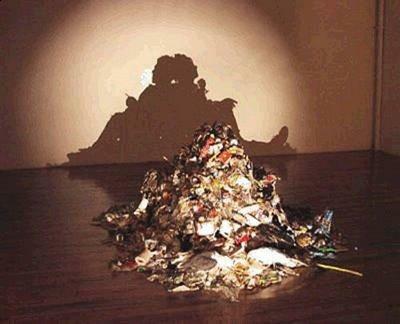 How anyone can turn a pile of garbage into art is beyond me...good one! This is not the work of Shiego Fukuda. It is the work of Tim Noble and Sue Webster. Wow I Knew People Could Do Loads Of Stuff Now... But... WOW ! ummm itsa pile of garbage lame!!!!! Incredible !!! Amazing !!!! Different type of art ? ?